As a trusted leader in the restoration industry, SERVPRO of North East Chester County provides 24-hour emergency service and is dedicated to being faster to any size disaster. Our highly trained technicians are local, ready, willing, and able to respond around the clock to make sure that your unique needs are met. We are committed to respond immediately to your emergency and have the expertise to handle your restoration or cleaning needs. Our experience in navigating any kind of loss or damage will be invaluable to guiding you through what is likely an entirely new scenario and seeing your needs through to completion. 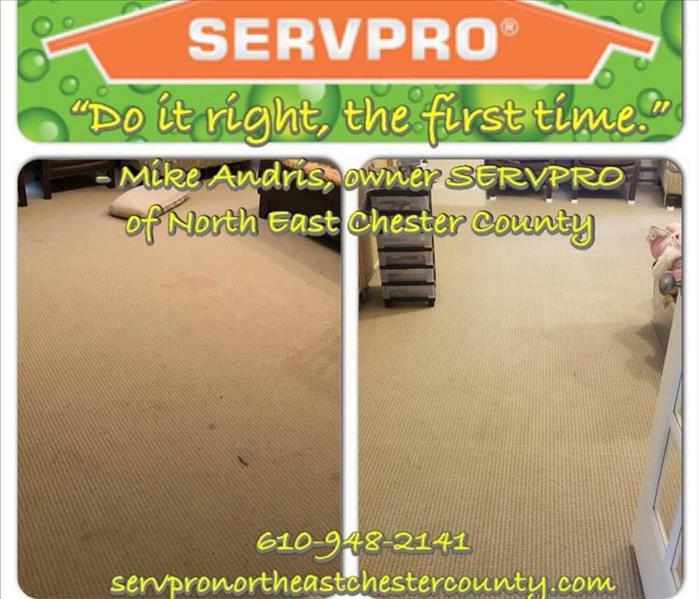 SERVPRO of North East Chester County is locally owned and operated, so we are part of this community too. When you have a cleaning or restoration need, we’re already nearby and ready to help. We take pride in being a part of the Phoenixville, PA community and want to do our part in making it the best it can be. Just Your Friendly Neighborhood SERVPRO! Our very first video testimonial! Thank you Matthew for such a sincere testimonial. Do It Right...the First Time.